Specialty Certifications… Who Needs Them?! 'Highly Skilled' - Remember those words! I have a love-hate relationship with the idea of ‘Specialty courses’. The phrase itself is a misnomer. The above definition suggests that over the 2 - 4 dives required for most ‘Specialty’ courses, you will become ‘highly skilled.’ You won’t. ‘Introduction to…’ would be a better phrase. In this article, I go through the typical range of recreational ‘Specialty’ courses available from the majority of major agencies and sort the good from the bad and the ugly. 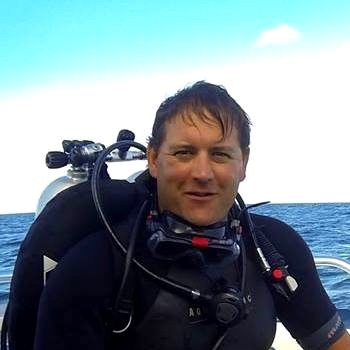 ​The presumption in this article’s title is that any aspiring technical diver understands the need to research, filter and interview and select their technical diving instructor as one would for a nanny or a pet sitter. Wandering into a dive center, asking for a course and being designated an instructor by the center’s staff, as is the norm at recreational levels, just doesn’t fly with Technical training, and for a number of very good reasons. Author: always happy to take your questions. Note: Where possible, I've included links to bios of the speakers. People, the struggle is real. It was never meant to happen. We were all breathing underwater. We were all lovers of the life oceanic. And we all looked good in rubber. How different could it be? And besides, I was living on a Dive Instructor salary and all that gear looked expensive. Not to mention heavy. No, Tec Diving wasn’t for me. I’m content within recreational limits. Ha!